Good compact, upright habit with dense foliage of medium sized leaves. 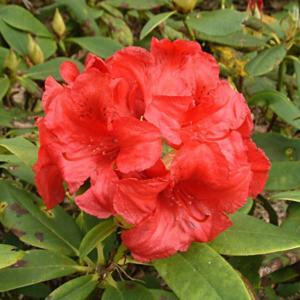 Long-lasting, glossy red flowers with dark brown spots inside, in upright firm trusses. Late May and early June.